Pregnant And Living In Ireland, Northern Ireland or Overseas? Do You Think You’re Pregnant? Pregnant living in Ireland or overseas? If you are experiencing any of these symptoms and you are concerned you may be pregnant; you should take a pregnancy test. If the test is positive and you would like further information on the option of an abortion, then we are here to help at Nupas Ireland. STIs, HIV testing, hepatitis A, B and C testing, management & treatment of STIs, HIV and AIDS, cervical smear tests, pregnancy testing, emergency contraception, free condoms. We can also help with referrals for ter​mination of pregnancy. Please note…..Not all clinics offer the help and advice you need at this difficult and often stressful time. Some clinics, particularly in Northern Ireland where abortion is illegal, will mislead you in the services they have to offer to encourage you to make an appointment with them. They may then attempt to persuade you to not have an abortion. These clinics are known as ‘rogue agencies’ and are run by anti-abortion activists such as ‘Life’ and ‘CURA’. 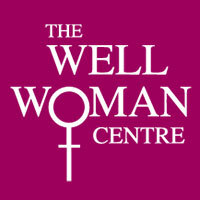 If you should find yourself in one of these clinics, do not feel intimidated or pressured. Ensure you do not provide them with any personal information and leave immediately.